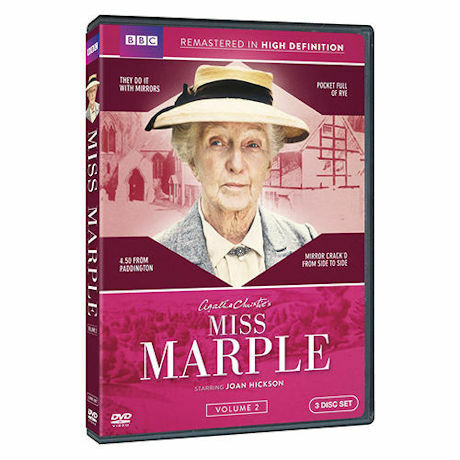 In 1946, Agatha Christie sent Joan Hickson a note that read, "I hope one day you will play my dear Miss Marple." Years later, Hickson did, taking on the role of the spinster sleuth at age 78. 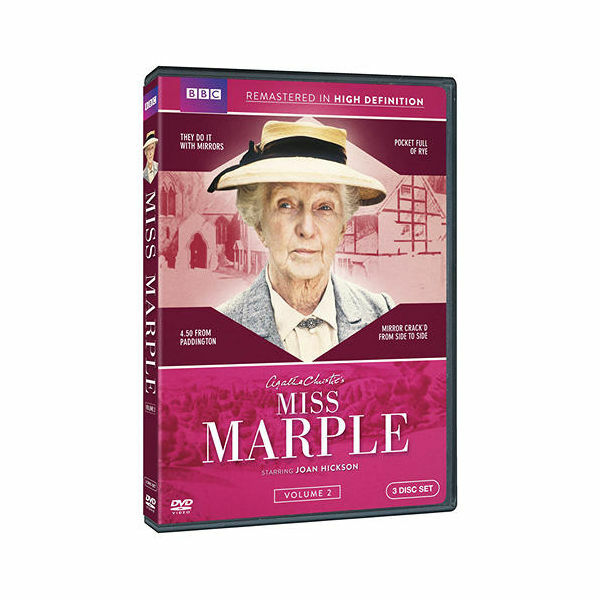 Many fans consider her the definitive Marple. 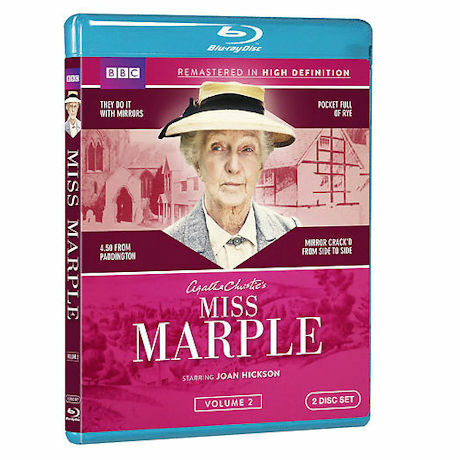 Restored and remastered in HD, this set includes They Do It with Mirrors, Pocket Full of Rye, 4:50 from Paddington,and The Mirror Crack'd from Side to Side, all filmed in the mid-1980s. 4 episodes, almost 8 hrs, 3 DVD or 2 Blu-ray discs.